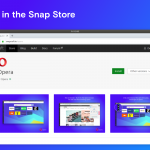 As the Opera rapid release cycle beds down, today we’re promoting Opera 17 from the Developer channel (highly experimental) to the Next channel, which is our feature-complete line and the last stage before being released to the world as the stable product. We read all your bug reports and feedback (thanks a million for giving it to us). We’ve decided to postpone Quick Access Bar as it still needs some tweaking and bug fixing. Synchronization can’t yet be turned on while we finalise the server-side support and add support for more data types in the browser. Opera 18 Developer should be released very soon. Besides Quick Access Bar, Synchronization, you should soon see further work in the area of tabs handling improvements, better autofill, themes, addressbar improvements and many others. Thanks in advance for your bug reports and comments. 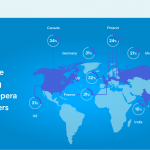 To save some of you a little trouble, there is no Linux release of Opera 17, but there will be Opera for Linux.